Sharks belts now available at Beltman! 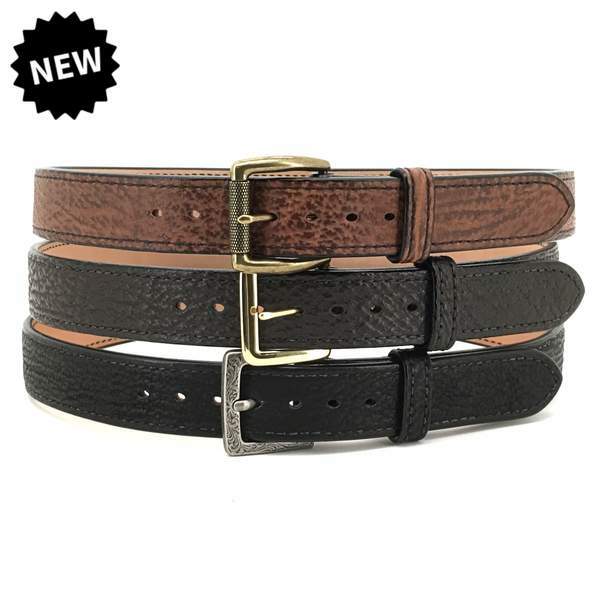 Thread: Sharks belts now available at Beltman! Beltman hasn't made shark belts for many years, but we've finally started making them again. Sharkskin is tough as nails and makes a gorgeous gun belt. And with the bullhide liner and stiffener included, they're stiff and durable enough for even the most demanding concealed carry applications. But availability can be limited so if you've ever wanted a shark belt, now's the time to get one! Beautiful, I see a Christmas present coming my way. As you can imagine that is our busiest time of year, so just be sure Santa orders the belt several weeks before Christmas!